Good price and never tried before! Bought this to teach a friend how to brew. Simple kit that teaches the basics well. Low price and pretty good. St Pattys day is around the corner! Best value extract kit and tastes good too! It worked out well in the past. Great kit. Good base kit for a orange coriander that I put together. 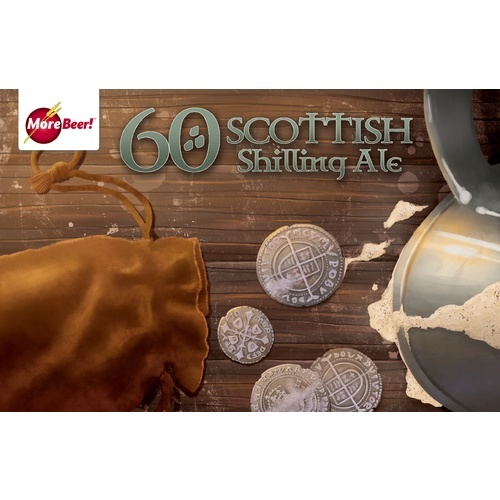 60 shilling creates a good English Bitter style bitter beer although it comes from a Scottish recipe. The name comes from the taxation rates for barrels of beer created in Scotland. It was taxed according to the ABV. 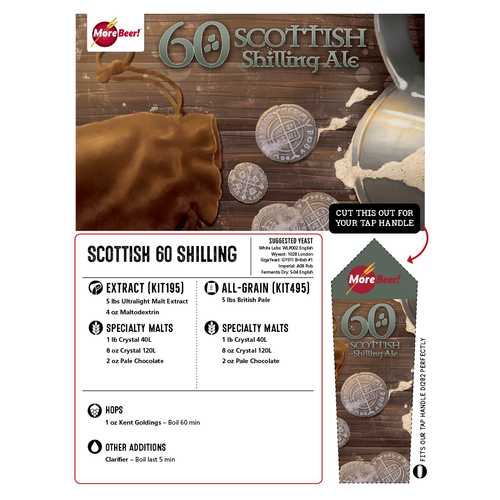 60 shilling and 70 shilling were the most common beers available at that time with 90 shilling being sold in 8 oz bottles and known as "Wee Heavy". I really didn't like it at first. In fact, I had to chuckle about the great reviews that were posted. I ate my words as the amazing, malty flavor developed within 6-8 weeks. Now it is hard not to have one with dinner... great flavor and low A.B.V. Great taste for the price! Tried this one for the price, but am enjoying the drinkability.... Has almost a light sweetness. Will brew this one again. I didn't know what to expect with this kit, buying it on a whim to see what kind of ale $19.99 might bring. The only tweak to the kit was to add a little honey to the priming sugar when bottling, to dry out the beer a little. Well, I was very pleasantly surprised at the outcome. I spread this beer around to friends and the feedback was ALL positive. Will buy again. This is one of our "go to" mid-week brews. Easy and quick. An excellent, light bodied but full of malty flavor. We are IPA fanatics - but this brew is a great change from the hoppy stuff. Buy it - you will like it! 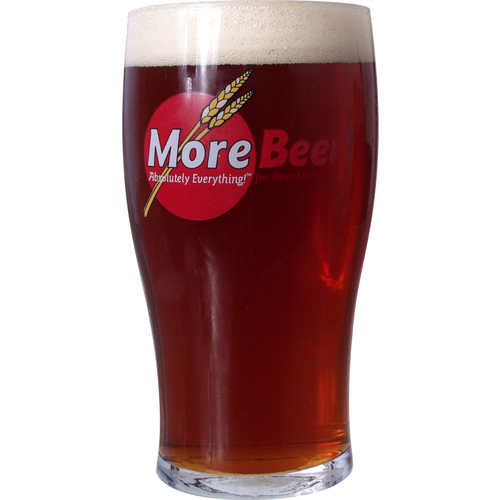 This a great beer for your first time brewing our to use as your standard beer. It's smooth, non-bitter, low AC it has great coloring and the price is right.